Prime Minister Mariano Rajoy said he wants the Senate to dissolve the prosperous region’s government and call for an early election. He blamed separatists for pushing the central government to take the unprecedented measures. "There is no country in the world ready to allow this kind of situation within its borders," Rajoy said Saturday. "It is my wish to call elections as soon as normality is restored." Rajoy’s Cabinet met in a special meeting Saturday morning to approve measures to take direct control of the Catalan region under Article 155 of the Spanish Constitution. 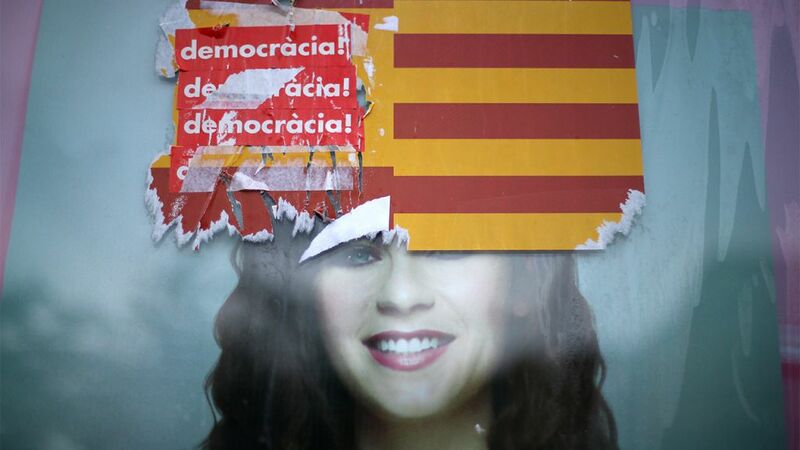 The meeting came almost three weeks after Catalan citizens voted for independence in a controversial referendum that was ruled illegal by the country’s Supreme Court. After the meeting, Rajoy said he wants the Senate to allow central ministers to take over functions from all the regional Cabinet members and give him the power to call regional elections — something that only Catalonia's top leader can do now. Catalan leader Carles Puigdemont has argued the referendum result gave him the mandate to move forward with independence. Under Article 155, central authorities are allowed to intervene when one of Spain’s 17 autonomous regions fails to comply with the law. It has never been used since the 1978 Constitution was adopted. On Saturday, Rajoy said the early election seeks to remove the regional officials who violated the country’s laws by actively promoting the referendum bid. Such actions are expected to spark angry opposition from supporters of independence and moderate Catalans who will see them as an attack on their autonomy. The country's Constitutional Court has so far ruled against all moves toward secession, including the controversial referendum. The court's website appeared to be offline Saturday, and a spokeswoman said it had been affected by vandalism of unknown origin. Spain's National Security Department had warned of potential digital vandalism Friday and said slogans supporting independence for Catalonia had popped up on a number of government websites. The Constitutional Court spokeswoman said Saturday only the court's website was not working and no internal information was compromised. She requested anonymity in line with internal rules. The referendum vote itself was marred by sporadic violence as police took action to shut down some polling locations. The central government says the results have no legitimacy. Although the ruling Popular Party has a strong enough majority to get the specific measures passed by the country's Senate, Rajoy has rallied the support of the opposition to give his government's actions more weight. Puigdemont has threatened to call a vote in the regional parliament for an explicit declaration of independence from Spain. Catalan activist groups called for another protest Saturday in Barcelona over the jailing of two pro-independence leaders who are being investigated on possible sedition charges. A National Court judge had Jordi Sanchez and Jordi Cuixart, the heads of grassroots organizations Catalan National Assembly and Omnium Cultural, preventatively held on Monday. The prominent activists are accused of orchestrating earlier demonstrations in mid-September that allegedly hindered a judicial probe of preparations for the Oct. 1 referendum after it had been declared unconstitutional and got in the way of police carrying out orders to prevent the vote. Barcelona resident Rosa Isart said the Spanish government's determination to prevent Catalonia from leaving Spain reminded her of the dictatorship of Gen. Francisco Franco four decades ago. "It seems unbelievable that I have to see this again because of the incompetence of these politicians who don't know how to speak or dialogue," Isart said.